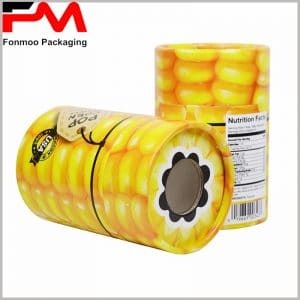 The judging criteria for the quality of white cardboard tube boxes packaging are for handling of details, whether there are wrinkles on the edge of the top cover, and whether the main body part will see the curved connection. 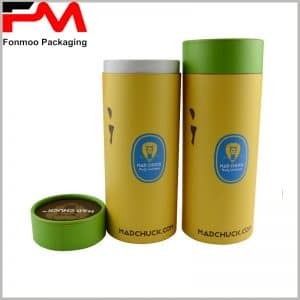 The cylinder packaging we produce will not have any creases or problems with connecting arcs. Whether tube packaging is applied to toys, essential oils, foods, cosmetics or anything else, it can guarantee high quality at the time of delivery. It is worth noting that because the market for the supply of custom packaging is confusing, multiple quotes for the same product may result, or the quality of the round boxes may confuse at the same price. But we can guarantee that under the same quality, as a professional custom packaging manufacturer, we offer the best price, which is 30% lower than the average price of the market. This is a black and white printed baby toys packaging boxes, using 300g cardboard and 60g copper paper, Monochrome printing, so the pattern is black and white color. The cartoon characters such as the pirate ship, the Lion King, and the hello kitty appear to be randomly piled up, but they are well-organized, messy and focused. The appeal to children is enormous. The same packaging graphics design, but the length of the cover is completely different, more biased towards a shorter open cover, more concise.